Can You Do CPR If You're Not Certified? Can You Do CPR If You Are Not Certified? Cardiopulmonary resuscitation (CPR) is an important skill to have and one that fewer and fewer people seem to take the time to learn these days. In the end, it only takes a few hours to get basic CPR training either in a classroom or online setting. Others may choose to get certified, in part because they're interested in learning more and, in some cases, because it can enhance the chances of getting a job. There are some who suggest that having CPR certification makes you more qualified to act in case of an emergency, and that may be true to a certain degree. But it shouldn't suggest that someone with basic CPR training is "less qualified" if faced with a potentially life-threatening situation. 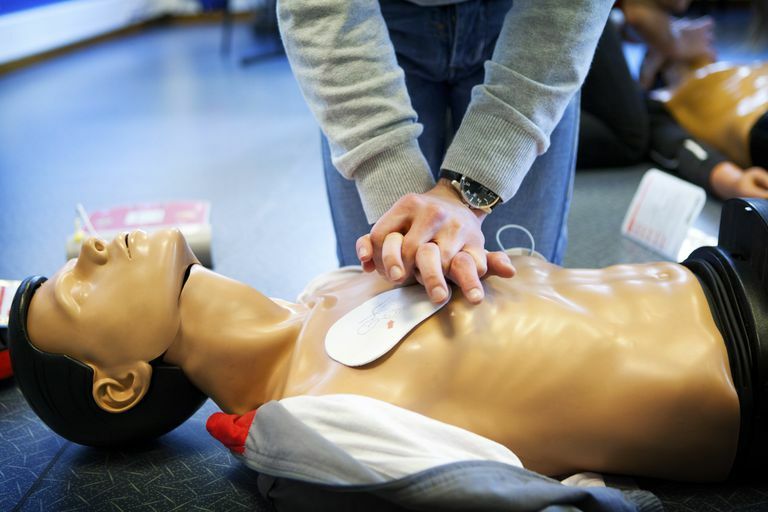 People pursue CPR certification for many reasons, some personal and others professional. Whatever the reason, certification provides them a clearer understanding of what to do (and not to do) and a stronger sense of confidence in their skills. Employment. CPR certifications can bolster your job resumé, particularly if seeking a position that requires interaction with the public or in which there is a potential for workplace injury (such as in a manufacturing plant, public transportation, or an amusement park). However, not any old certification will do. Most employers will require CPR certification from either the American Heart Association, American Red Cross, or the National Safety Council. Family health. CPR certification can literally be a lifesaver if someone in your family is at risk of cardiac arrest, respiratory arrest, or other potentially life-threatening conditions. Especially with things like cardiac arrest, where minutes can make the difference between life and death, refresher CPR courses can help ensure you act appropriately and fast. Proficiency. There can be no more terrifying situation than being in an emergency where no one knows what to do. To this end, CPR certification may allow you to step forward when others can't. Instead of trying to remember the skills that you learned back in high school, certification provides you with a level of training to jump in without hesitation. For all of its benefits, being certified in CPR does not mean you are "licensed" to act. It is simply a card or certificate indicating that you have completed a CPR course and met the requirements established by whichever organization you used. To this end, it doesn't matter whether you have a CPR card or not if someone has drowned or experienced cardiac arrest. It doesn't provide you with additional protection from liability (more than Good Samaritan laws do) or suggest that you have the skills to stand in for an emergency medical technician (EMT). If you have been trained in CPR, with or without certification, you need to act. Take, for example, cardiac arrest. With cardiac arrest, the heart will suddenly stop pumping and the victim will lose consciousness within 20 seconds. For every minute that passes without treatment, the risk of death rises by 7 percent to 10 percent. After five minutes, brain damage can occur. After 10 minutes of inaction, the chance of resuscitation is next to nil. There is no way around it; if you don't do CPR, the victim will die. If you do CPR—even if it isn't perfect—there is a far better chance of survival. The choice is simple. Time is probably the main reason why people don't obtain CPR training, much less certification. Unless there is some incentive to attend a class, most people don't even think about CPR, figuring that others will know it. But here's the bottom line: CPR classes take only around two to three hours to complete, and many are conducted free of charge through organizations like the Red Cross or YMCA. While less than ideal, you can even take a free online CPR course if you can't spare three hours in your week. Others people shy away from CPR out of sheer squeamishness, mainly in response to things like mouth-to-mouth resuscitation. What many people fail to realize is that mouth-to-mouth is no longer a requirement for CPR and that chest compression is the focus of treatment until emergency medical services arrive. By learning the facts about CPR training, you can make an informed choice about the options available to you. For more information, use the American Red Cross CPR class locator and speak with an instructor near you. You can do the same with the American Heart Association's CPR and first aid training locator. The best online training can be found through the National Safety Council's first aid catalog. Cave, D.; Aufderheide, T.; Beeson, J. et al. Importance and Implementation of Training in Cardiopulmonary Resuscitation and Automated External Defibrillation in Schools: A Science Advisory From the American Heart Association. Circulation. 2011;123(6):691-706. DOI: 10.1161/CIR.0b013e31820b5328.